Dynomerk Controls came into existence in April 1996 as a group of Engineers experienced in manufacturing automotive test equipments like eddy current dynamometers for engine, Transient Dynamometer, re-generative chassis dynamometers, brake inertia dynamometers, and test rigs for automotive components. We Started with Eddy Current Dynamometers and associated controls for engine testing. The present instrumentation is fully equipped with entire modern techniques, well advanced in quality and technology. We are the first in India to launch a indigenous field-proven Regenerative Chassis Dyno for vehicle testing. All our systems are equipped with Real time Operating Systems and PC controls. Our Products complies with National / International Standards and Legislations. We also undertake Periodic Maintenance Contracts, Repairs, Up-gradations of existing test bed systems to meet present emission test requirement as per legislations along with third party equipments. Our Approach is to provide an integrated solution for all the Vehicle/Engine/Component testing facilities to automobile industry, with latest technologies like Digital embedded controls and Centralized Data Monitoring systems. We are committed to provide the product with state of the art technologies to meet the present and future requirement of Indian automotive industries. We Trust On anticipation and sincere efforts to meet the changing needs of the Industries, Institutions. Continuous Research and Development to incorporate the latest technologies and a edge to our products. Attracting, retaining and advancing a talented, creative and diverse workforce. We want to develop an Entrepreneurial Culture where our employees will work with a passionate belief that their work is contributing to the evolution of technology and making real difference to the lives of people. Be a customer focused organization, providing customers optimum Solutions on time and meeting international quality standards and Supporting them effectively. Understand needs of our customers and meet them so as to enhance Customer Satisfaction. Be a growth driven organization. Be a preferred employer by building a boundary less, learning & Process driven organization. Develop quality consciousness amongst product suppliers. • Machine Shop - 2000 Sq. Ft.
• Assembly and Testing Shop - 7000 Sq. Ft.
• Electronics Department - 1000 Sq. Ft.
• Lathe Machines - 6 Nos. • Radial Drilling Machines - 2 Nos. • Horizontal Boring Machines - 1 No. • Universal Milling Machines - 2 Nos. • Grinding Machines - 4 Nos. • Welding Machines - 3 Nos. Our CEO Mr. Kishor Raut has received "Bharat Ratna J. R. D. Tata Udyog Ratna" Award for 2016 by Maharashtra Rajya Audyogik Parishad, Pune for his contribution & continuous efforts in the field of Automotive Engine & Vehicle Testing. We are the first to launch and prove the indigenous Regenerative Vehicle Chassis Dynamometer, Regenerative DC Dynamometer for engines / other prime mover testing in India. We participated in the Symposium on International Automotive Technology held at The Automotive Research Association of India in January 1999 and January 2001. In 1999, we won the Second Prize for the Best Products and Display. In 2001, with our persistent efforts we won the First Prize for the Best Products and Display. We have received APPRECOATION AWARD from Naval Science and Technological Laboratory at Vishakapatnam, in 2007 for Eddy Current Dynamometer and control system for Contra Rotating DC Motor testing (being used to Torpedo) and simulating under water sea conditions. Mr. Kishor Raut is the Managing Director and CEO of Dynomerk Controls. 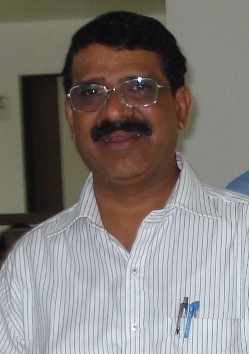 Mr Raut started the company in 1996, with handful of Engineers experienced in manufacturing Automotive Test Equipments. Initially the company started with Eddy Current Dynamometers and Chassis Dynamometer, gradually the company started growing and invented new products such as Transient Dynamometers, Brake Inertia Dynamometers for Engine and Vehicle Testing and Test Rig Components. Mr. Kishor Raut is the Managing Director and CEO of Dynomerk Controls. Mr. Raut started the company in 1996, with handful of Engineers experienced in manufacturing Automotive Test Equipments. Mr. Raut indigenously launched first of its kind in India the Regenerative Chassis Dynomometers for Vehicle Testing and the second biggest achievement the company received was the launch of its Stand Alone Dynamometer, which is first of its kind in Asia. Starting its installations with Tata Motors and Bajaj Auto, gradually and steadily growing its clients from these two and adding feathers to Dynomerk Controls like, TVS Suzuki, Mahindra, KOEL, Yamaha, Honda, ARAI, just to name a few, Mr. Raut accomplished successful installations at Indonesia and Bangkok. Dynomerk Controls, not only did achieve and invented the new product line under the guidance of Mr. Raut, but also has coloured feathers of Awards like The Best Product Display, at SIAT Expo 1999, The Best Stall Display, at SIAT Expo 2001 and The Best Industry Award from Ministry of Defence (DRDO) 2007. Prior to founding Dynomerk Controls, Mr. Raut worked and was also the founder member of Benz Systems. Mr. Raut received his Engineering in Mechanical from the Mumbai University at VJTI College, Mumbai.